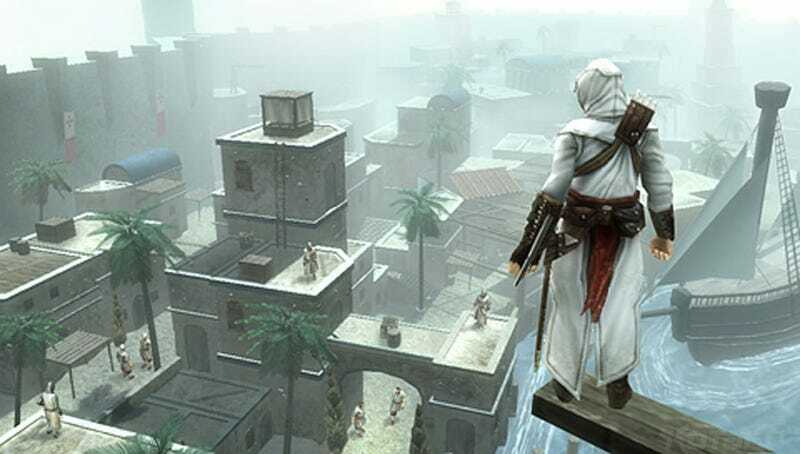 When Assassin's Creed was downgraded to the DS and iPhone, it became an entirely different game. The upcoming PSP version, however, looks to be sticking a lot closer to the original than its handheld competitors. While these two screens don't really show how the game will function mechanically, they do at least show that it's a full 3D title, with Altair stalking the streets of what look to be much smaller (and for the PSP more easily-managed) medieval cities. For the record, Assassin's Creed: Bloodlines, as the game is known as, is no port; it is instead an all-new game, bridging the events between the first game and the upcoming sequel.